As many new parents understand, it’s not that you necessarily need a response to your millions of baby-related questions, concerns and joys but it’s about having someone to listen, to provide support, to give practical advice and tell you you’re doing a good job. So what happens when a new mother doesn’t have that support? Leigh Van Der Horst discovered that it was tough. 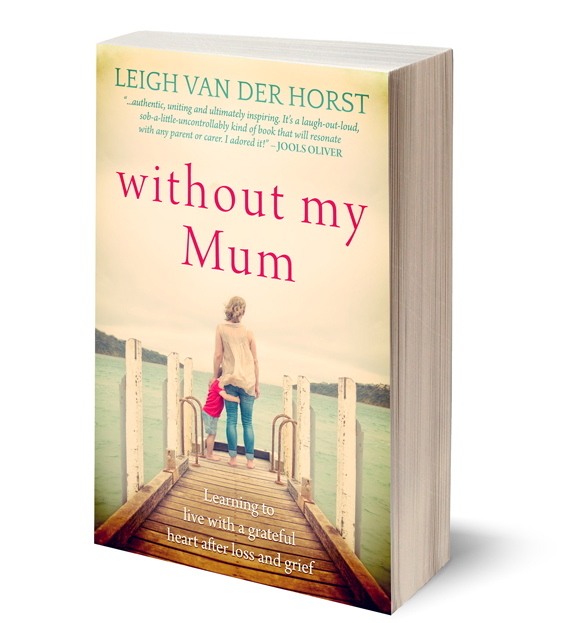 In Leigh’s debut book, Without My Mum, she shares her own story of losing her beloved mother to cancer in 2008, as well as stories from other motherless mothers, and contributions of parenting wisdom from a collection of encouraging mothers worldwide. While providing support for her mother through her battle with cancer, Leigh also had three very young sons to look after, and was keenly aware of the help, both practical and emotional, that her mum had provided her up until that point. Without My Mum chronicles the battle with cancer, her mother’s death, and Leigh’s grieving. And yet, while the topic is emotionally devastating, the second half of the book is quite different. Leigh addresses the remainder of the book to her ‘sisterhood of motherless mothers’. I read contributions from other motherless mothers on loss, on coping and on wishes for what might have been, with both tears in eyes and also smiles – the stories are rich, honest and heartfelt. The book closes with words of wisdom from women around the world and some inspiring popular personalities such as Jools Oliver, Lisa Wilkinson, Megan Gale and Natalie Bassingthwaighte. There’s comfort in shared experience and plenty of reminders for those who still have their mums, to treasure them. Find Without My Mum in selected book stores or online at Vivid Publishing.